On Earth-2 (an alternate reality where Batman, Superman and Wonder Woman were slaughtered by Darkseid when he invaded their planet), Huntress was the daughter of Batman and Catwoman, and served as Robin. 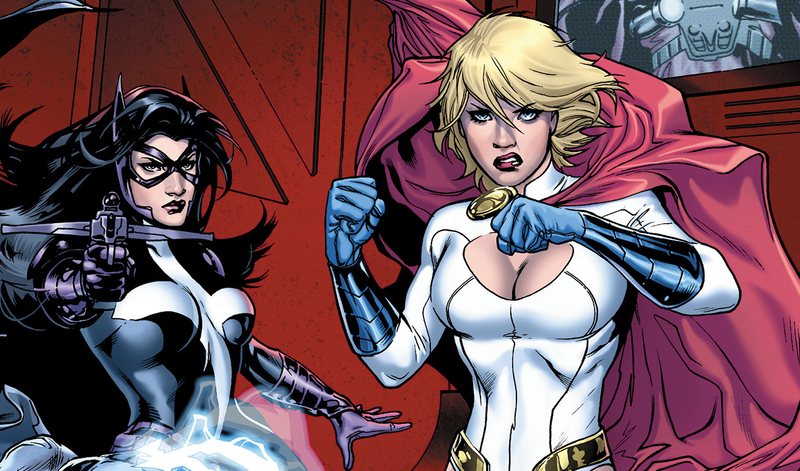 Power Girl meanwhile was better known as Supergirl, but both adopted new identities when they found themselves mysteriously transported to the main DC Universe. This backstory could be covered in a movie – the differences between their realities would be fascinating to explore – or completely changed, but pairing up these two in their own movie would be a smart way for Warner Bros. to start cashing in on some lesser known characters who are still more than capable of making for a compelling two hours at the cinema. If Huntress is familiar, it’s because she’s been in Arrow, but that version is very different to this one, so there would be little confusion between the two takes.